Not everyone's a fan of Grand Am racing, and part of this has to be due to the general unattractiveness of the Daytona Prototypes. 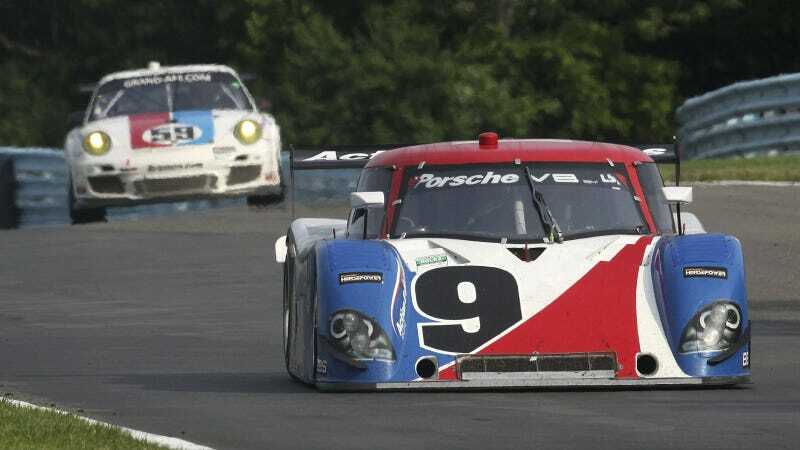 Yet I find myself drawn to this photo of the #9 Porsche Riley being pursued by the #59 Porsche 911 GT3 at Watkins Glen this weekend. Racing is racing.